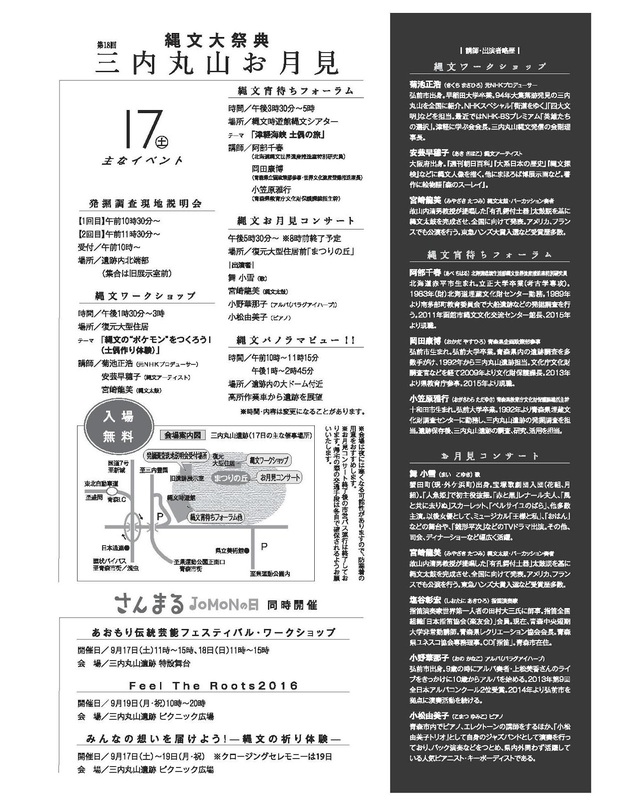 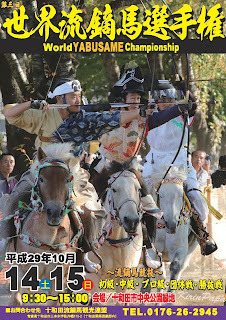 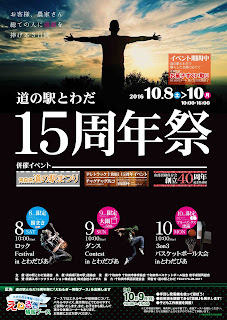 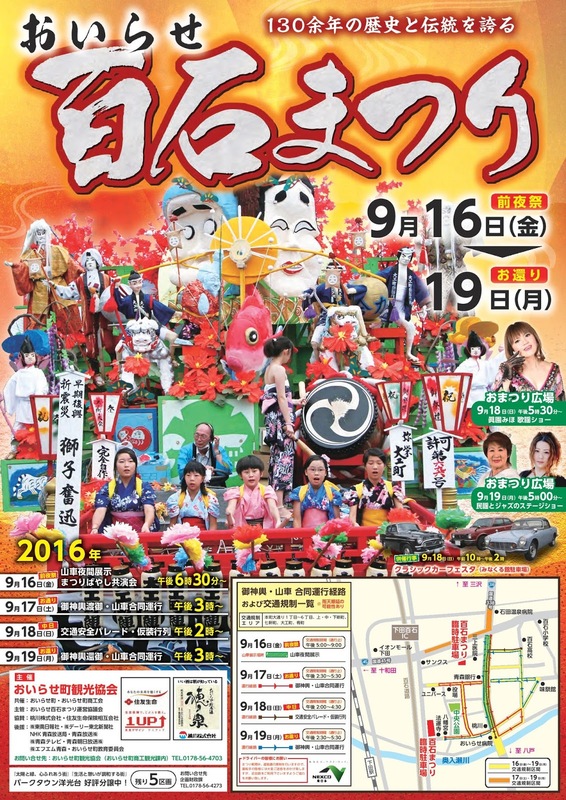 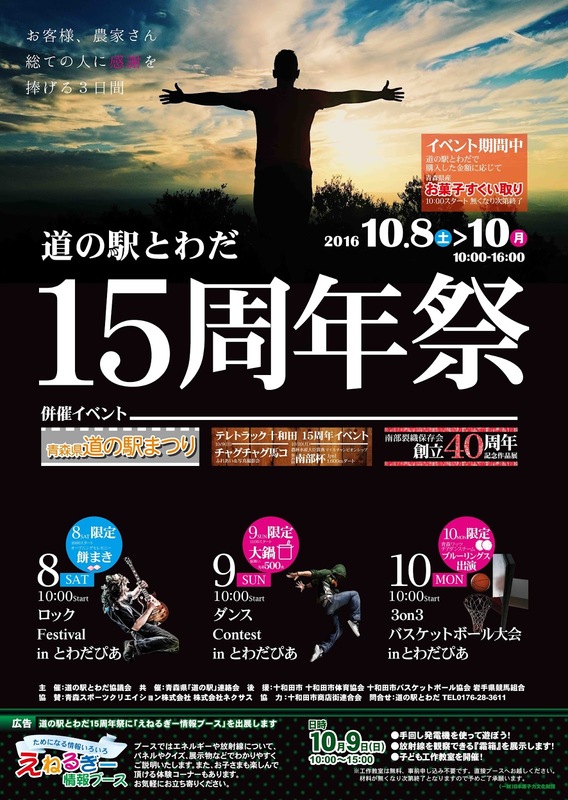 A festival of performances and displays showcasing the various arts and cultural groups/clubs in Towada. 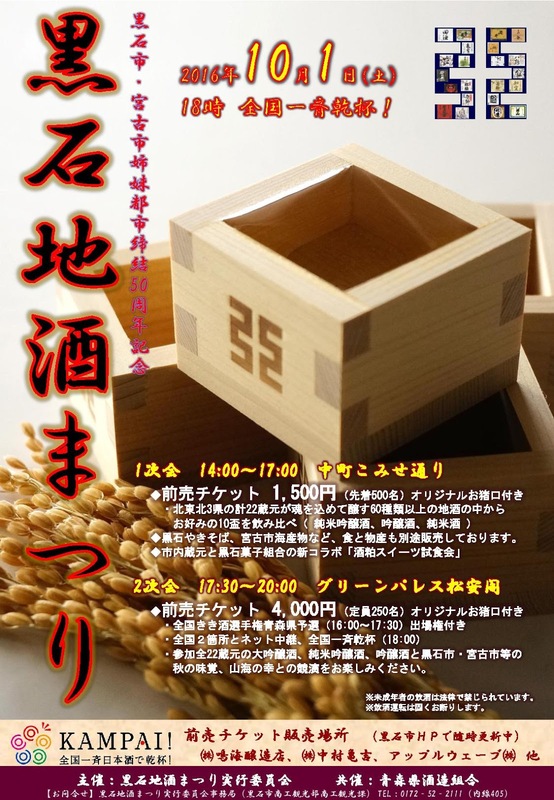 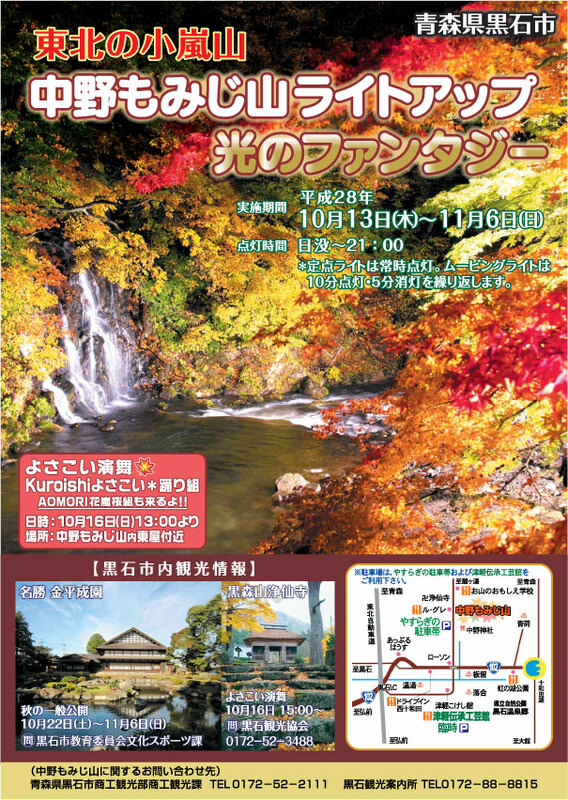 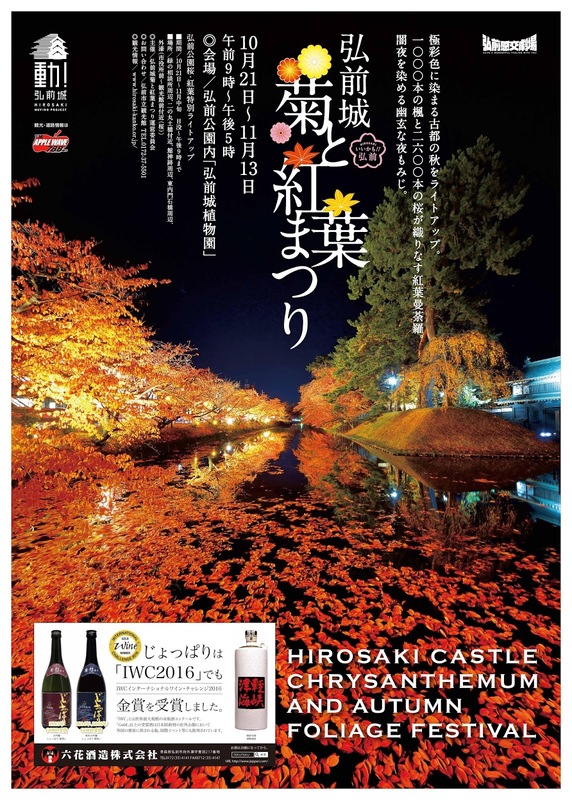 A festival to enjoy Mutsu local products and more! 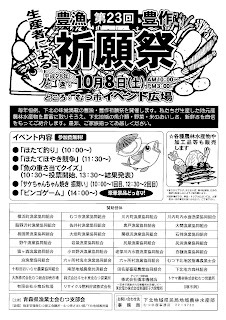 Enjoy fresh seafood at this festival wishing for good fishing and an abundant harvest for the year. Tsugaru Shamisen (aka Tsugaru Jamisen) is a version of shamisen (a Japanese three-stringed lute played using a large pick) originating in the western (Tsugaru) side of Aomori Prefecture. "Schop Jamisen" is an amusing imitation using a shovel for an instrument and a bottle cap opener in place of the pick to mimic the sound of an actual shamisen in a performance. 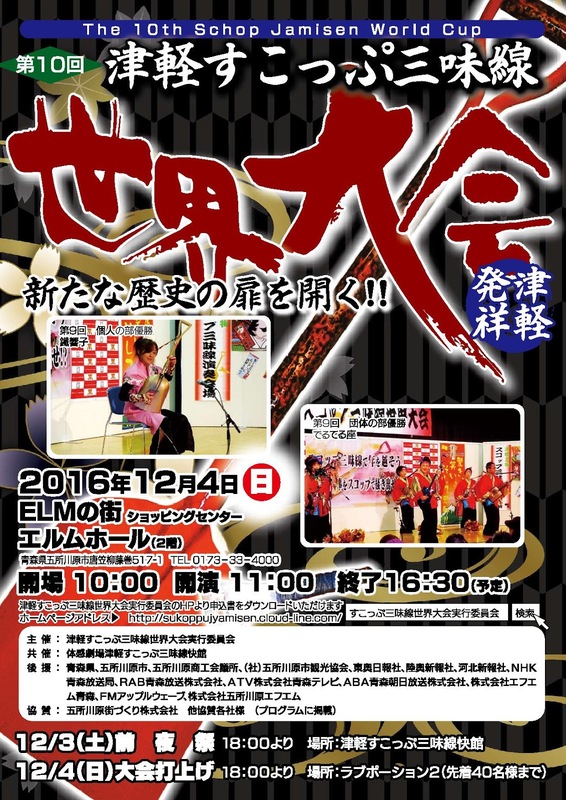 It represents a new twist on a traditional Japanese instrument and performing art. 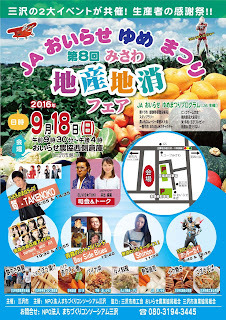 An event celebrating the 20th anniversary of Michi no Eki Namioka "Apple Hill" featuring apple picking, performances, evening fireworks and various other events & activities! 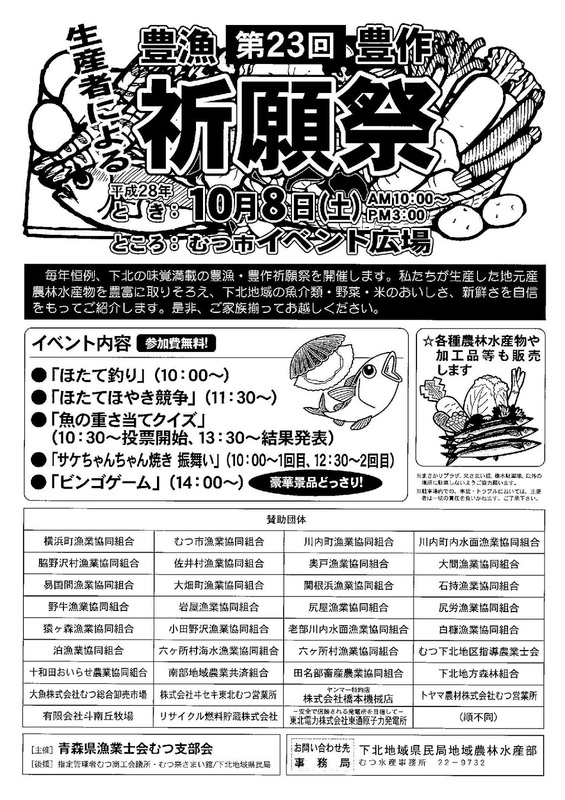 Results will be announced on the Apple Hill website on October 30. 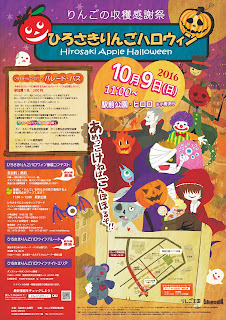 Try to put 2kg* of apples into the basket--succeed and you win the apples! 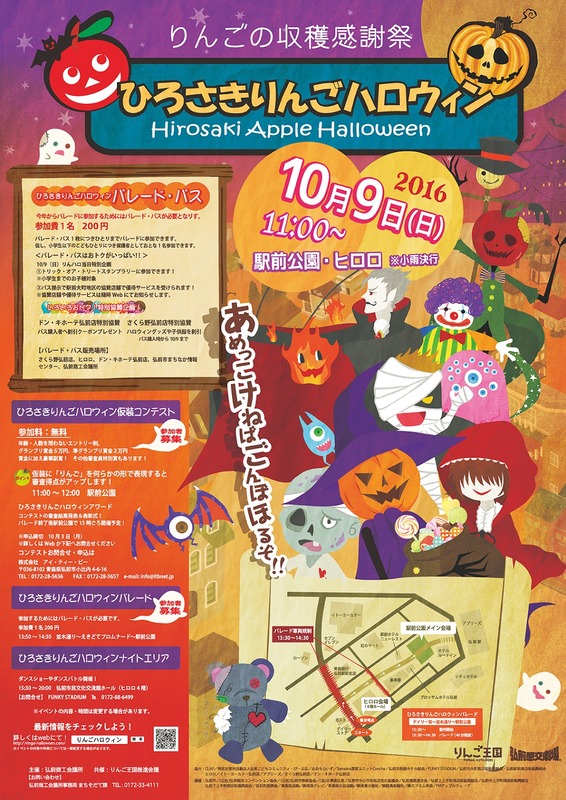 Try various apple sweets and vote for your favorite! 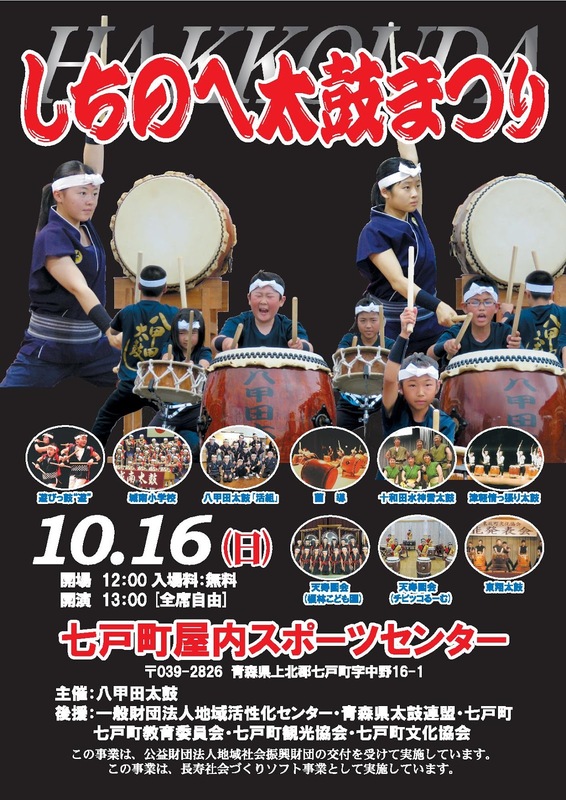 Enjoy performances by various taiko (Japanese drumming) groups. 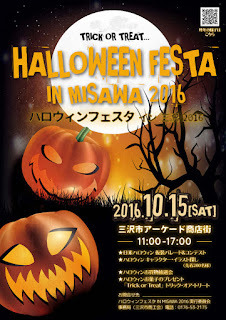 Halloween fun for all ages featuring a children's costume parade, costume contest, evening dance show & battle, and more! 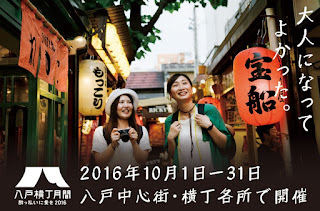 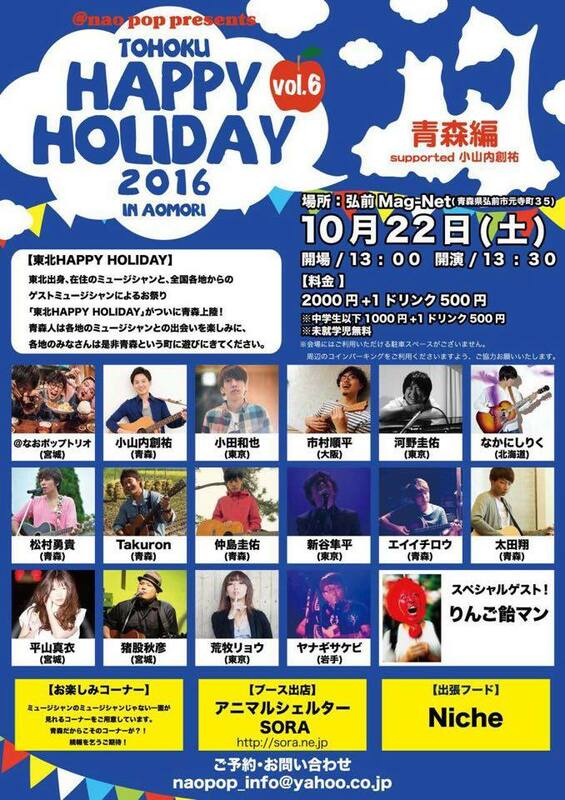 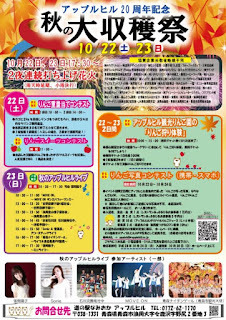 Hachinohe Alley Month "Love Drunk 2016"
A month of various drinking, performance, and other events held around Hachinohe Alleys and central Hachinohe. 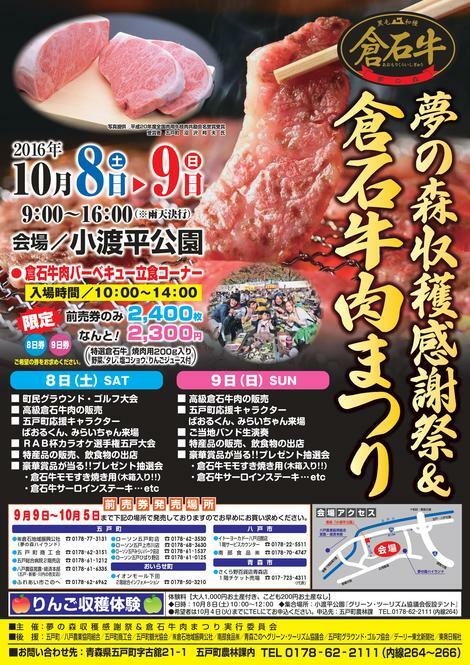 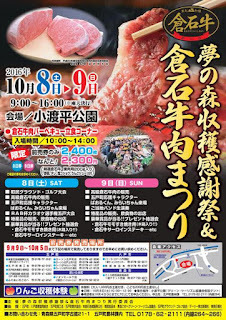 A festival celebrating Hirakawa's local products and foods. 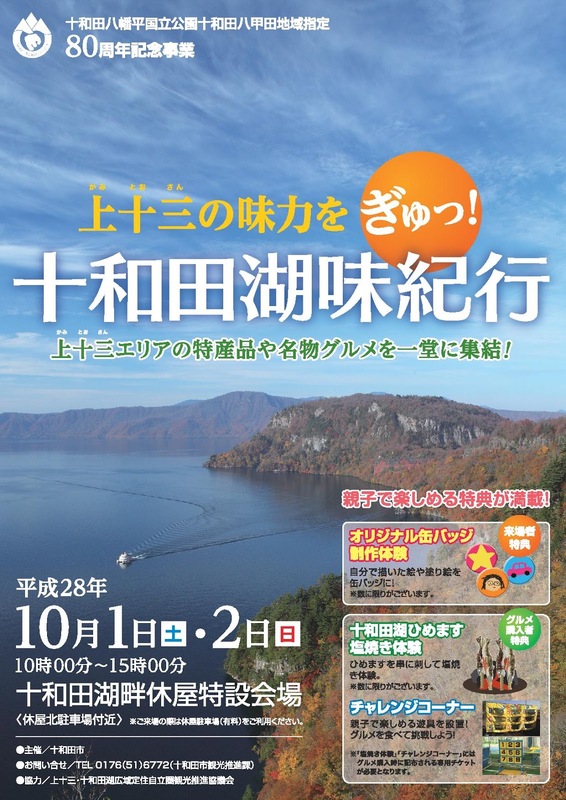 A special event commemorating the 80th anniversary of the designation of Lake Towada and Mount Hakkoda as part of the Towada-Hachimantai National Park. 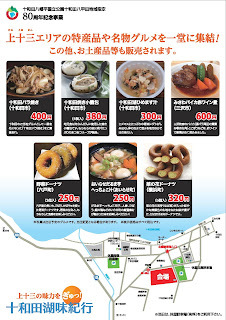 Enjoy local products and cuisine from the Kamitosan area (上十三 Kamikita, Lake Towada and Misawa). 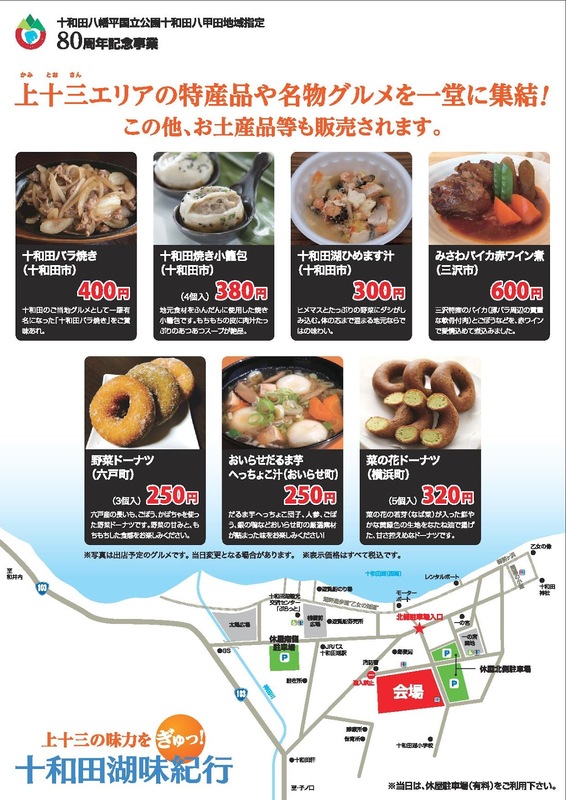 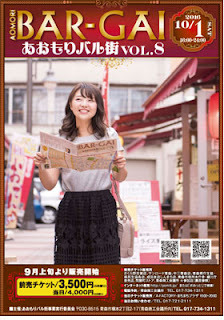 Enjoy a special "bar menu" (1 drink + small appetizer/snack) at a maximum of five participating drinking establishments in Aomori City. 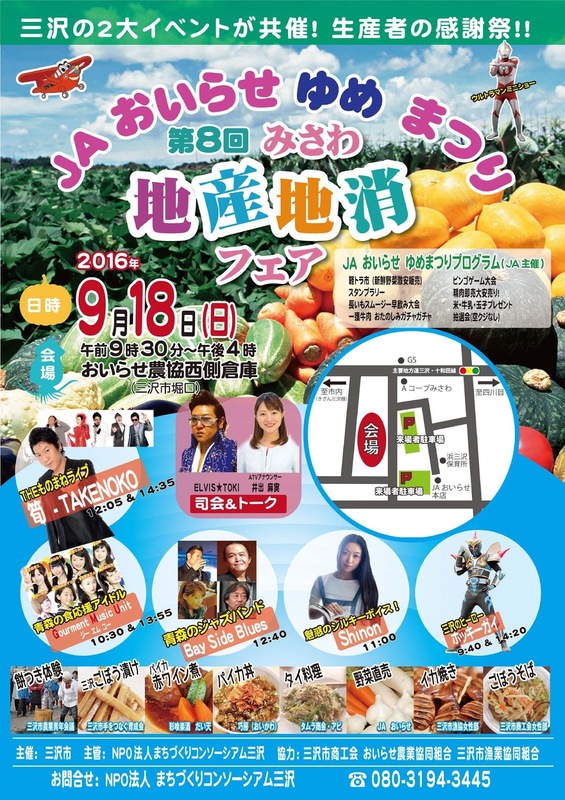 An autumn harvest festival featuring fresh produce, food, craft, &etc. 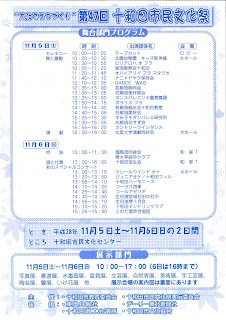 sales as well as various musical and dance performances. 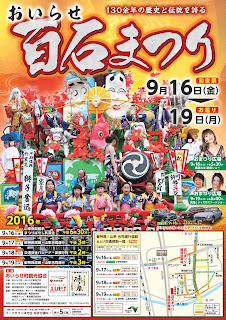 A festival featuring nagashi odori dance, traditional performing arts, and a parade with floats from 4 neighborhoods within the Tomabechi area of Nanbu Town. 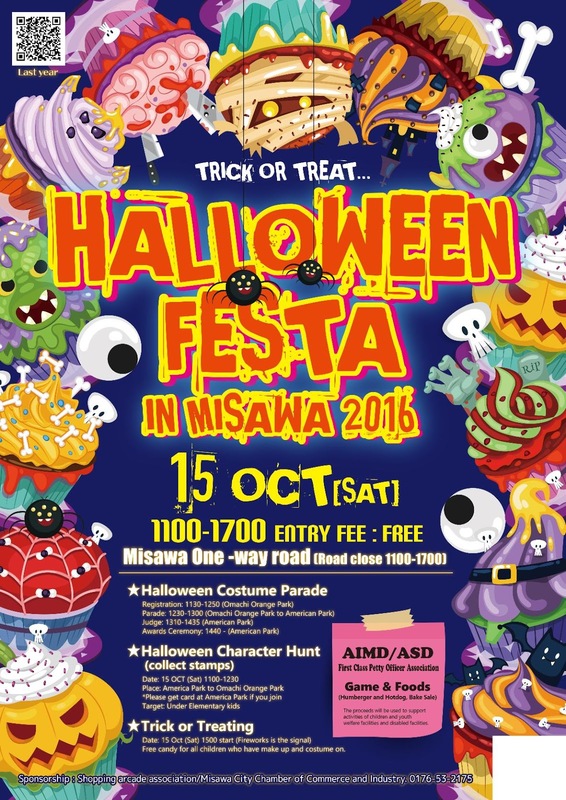 A weekend of fun events--rock festival, dance contest, 3-on-3 basketball tournament, & more!--celebrating Towadapia's 15th Anniversary. 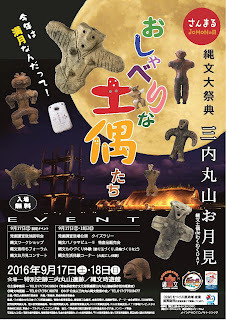 Sanmaru Jomon Days encompasses three events held at Sannai Maruyam Site annually in September: Jomon Festival, Aomori Traditional Performing Arts Festival & Workshops, and Feel the Roots. 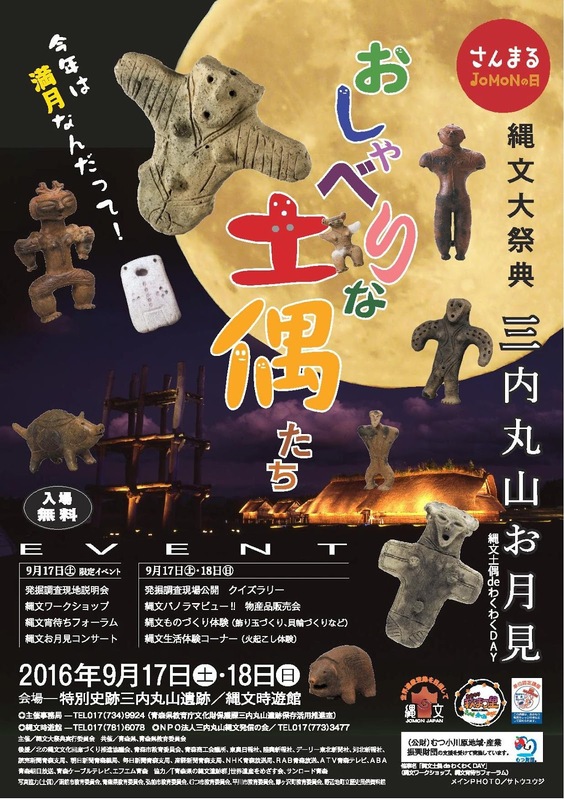 A festival celebrating Jomon history and culture. 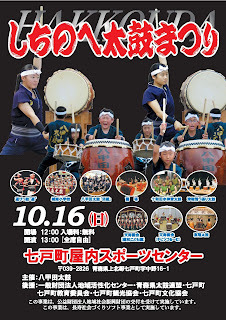 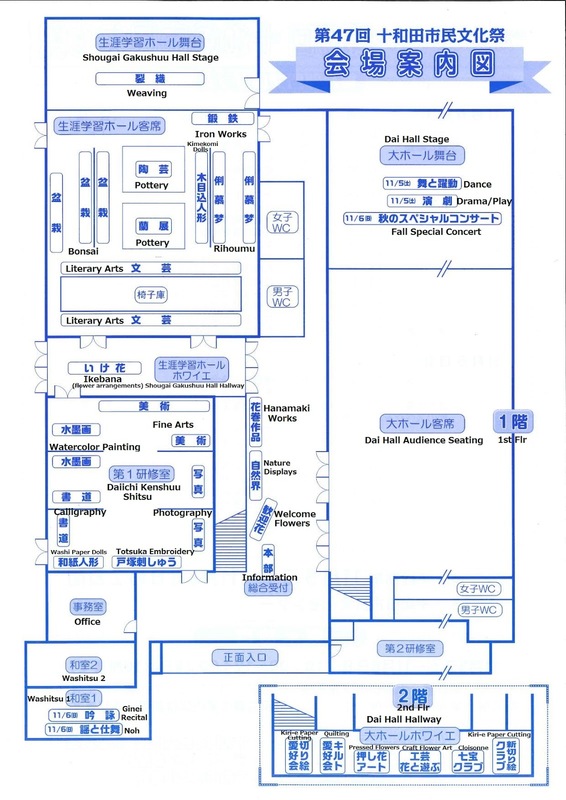 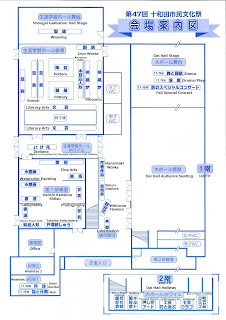 A festival bringing together musicians from across Tohoku as well as guests from around Japan. 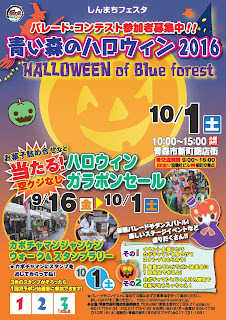 Halloween event featuring a costume parade and contest, trick or treating for children, and more! 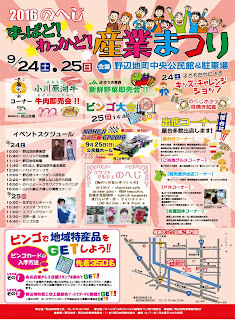 An event celebrating Misawa's local products and foods with various performances, activities, and sales booths. Try out craft beers from around Japan! 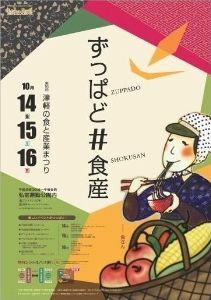 A festival where you can enjoy local foods and products along with various performances and more! 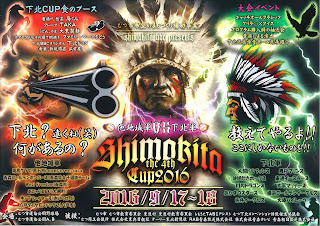 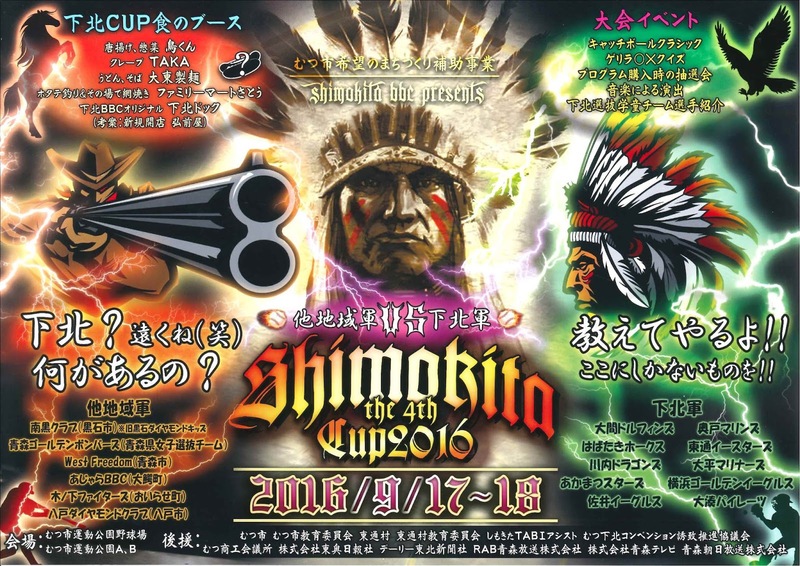 A baseball event that pits Shimokita teams against teams from other areas in Aomori Prefecture! 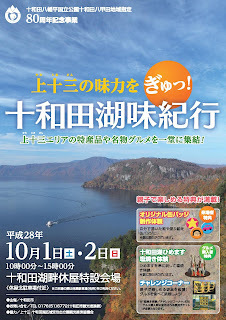 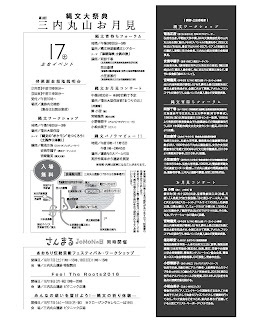 An event planned in celebration of the 50th Anniversary of Kuroishi's sister city relationship with Miyako City, Iwate Prefecture. 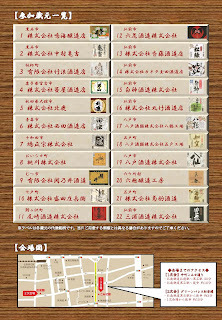 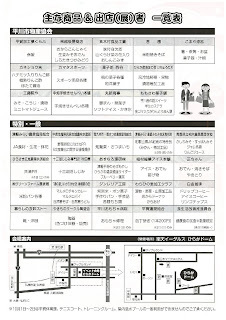 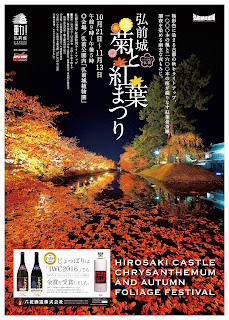 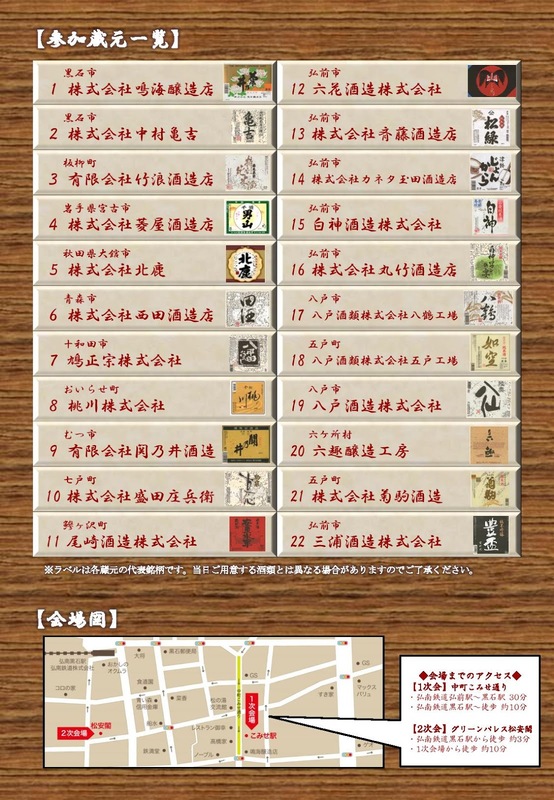 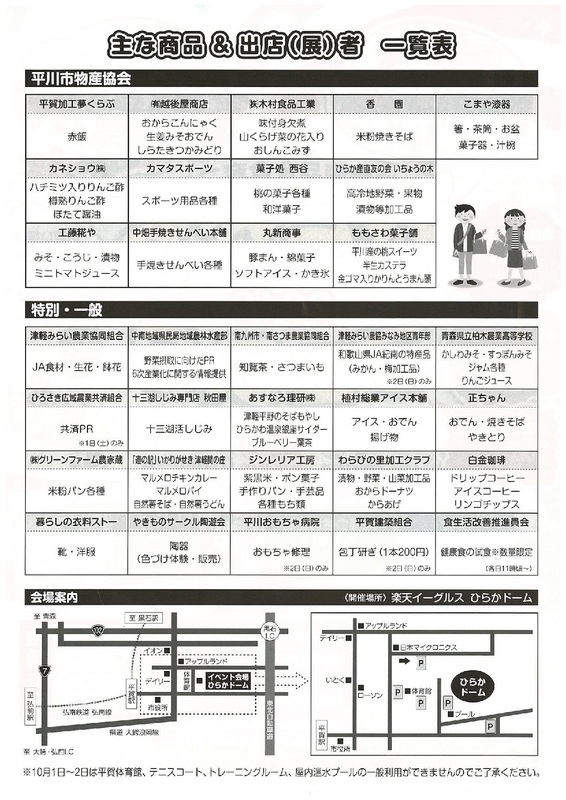 Try over 60 types of sake from 22 local breweries from northern Tohoku (Aomori, Akita, Iwate). 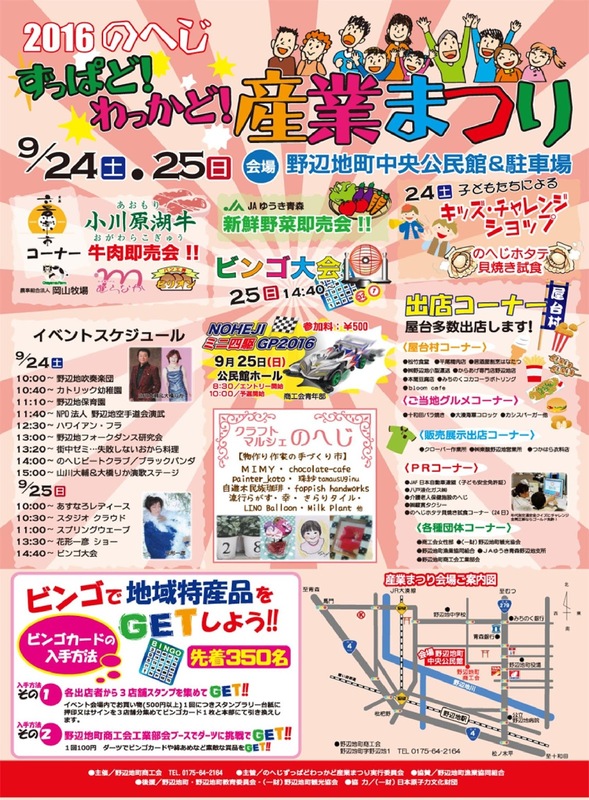 A festival featuring model airplane flying competitions, hang gliding and paragliding experiences and more! 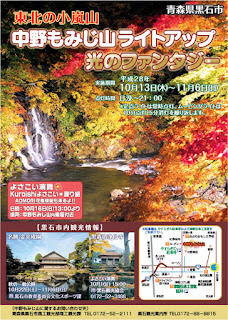 Enjoy the beauty of the autumn foliage and the sight and scents of chrysanthemum-decorated dolls, boats, and more! 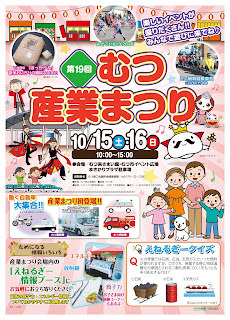 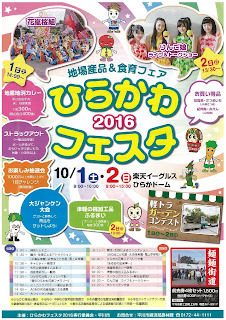 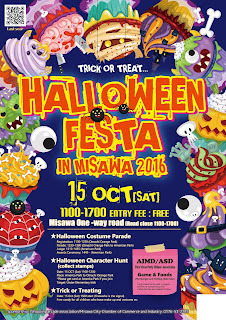 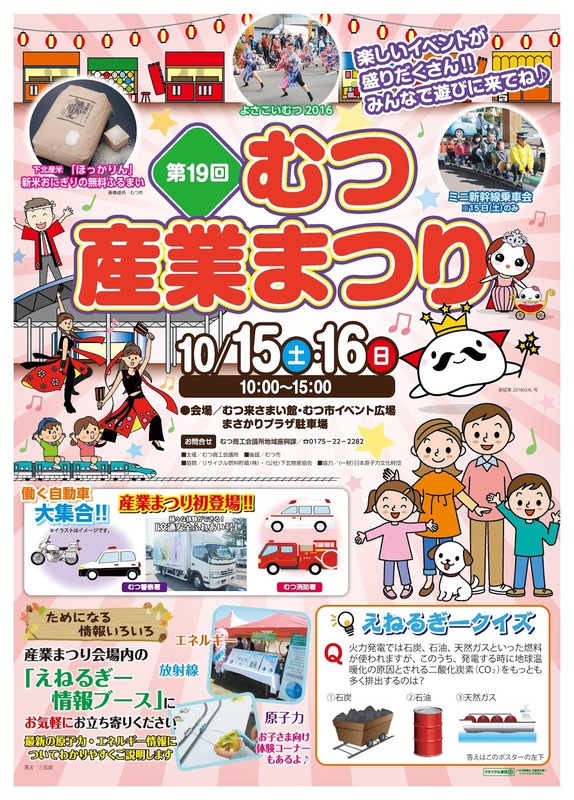 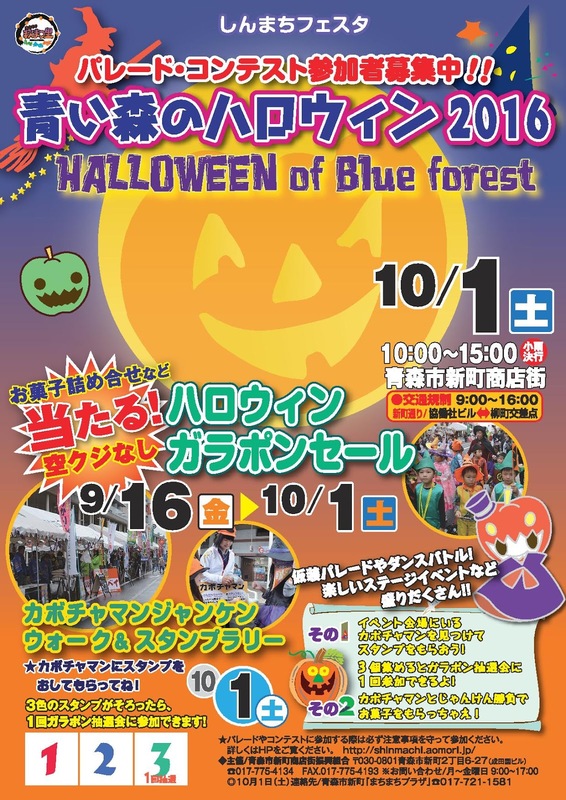 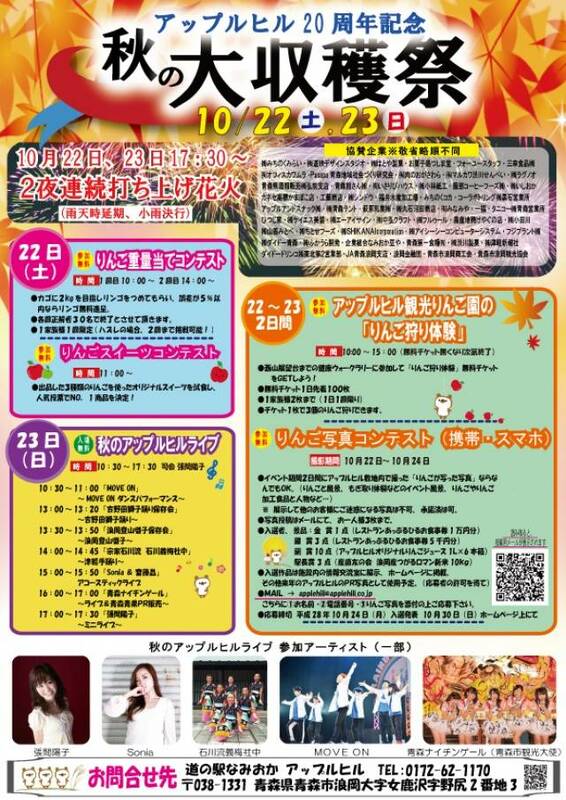 Aomori City Shinmachi shopping arcade Halloween event with a costume parade & contest and other activities! 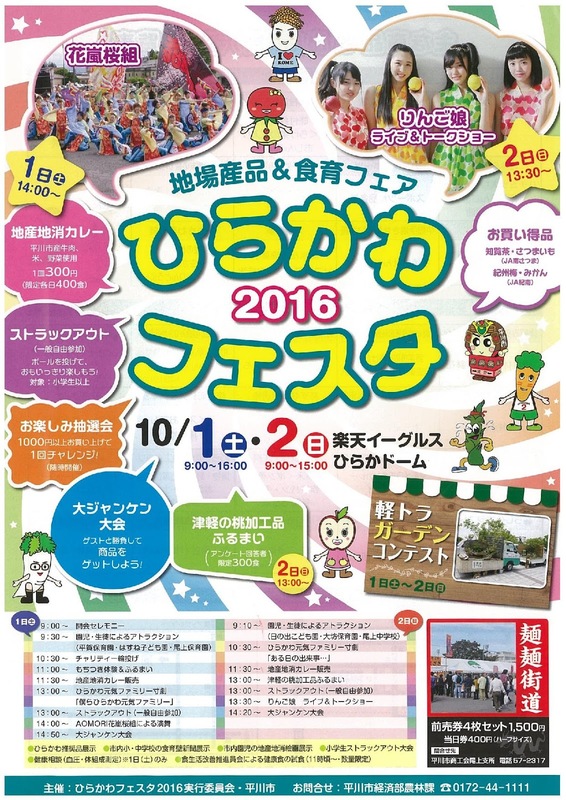 A fall festival featuring float and portable shrine parades, a costume contest & parade, various stage performances, and more! 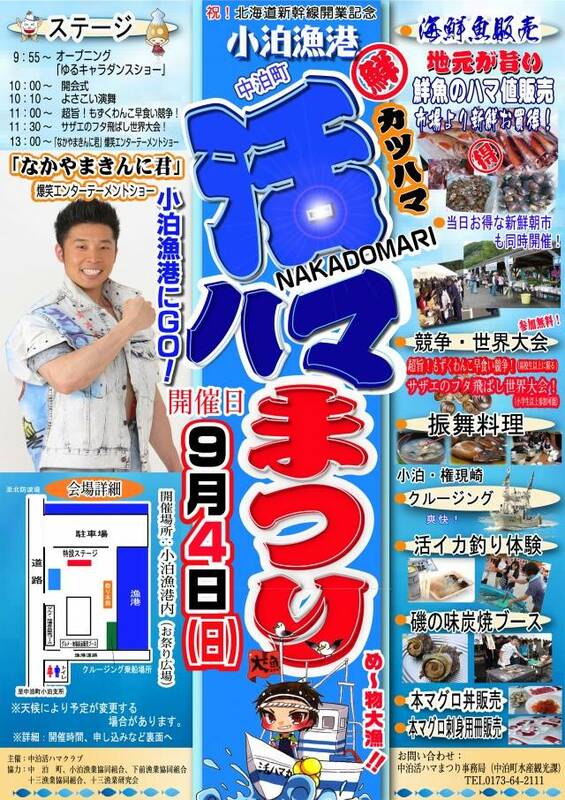 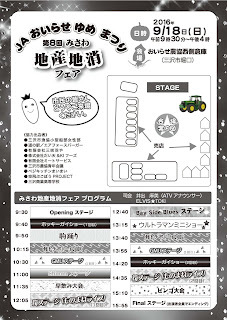 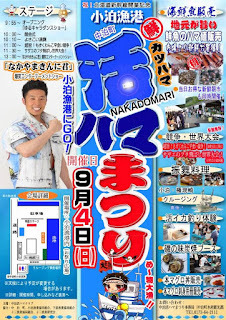 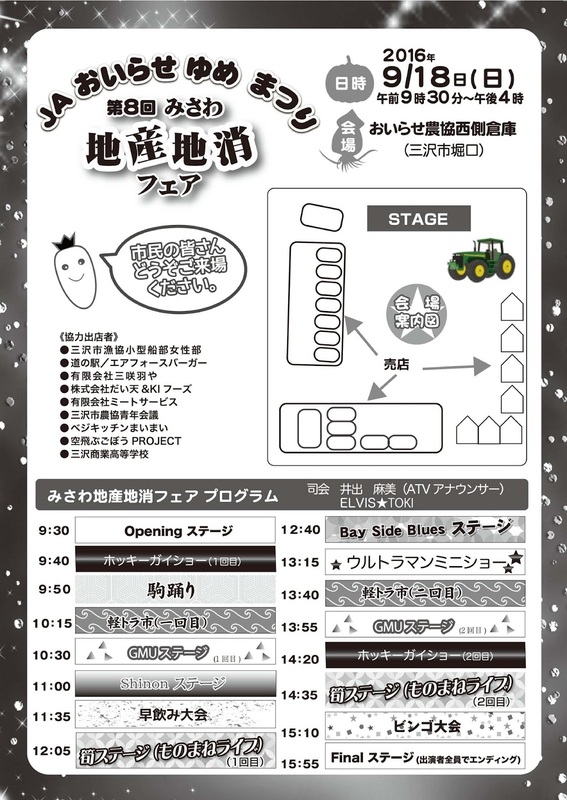 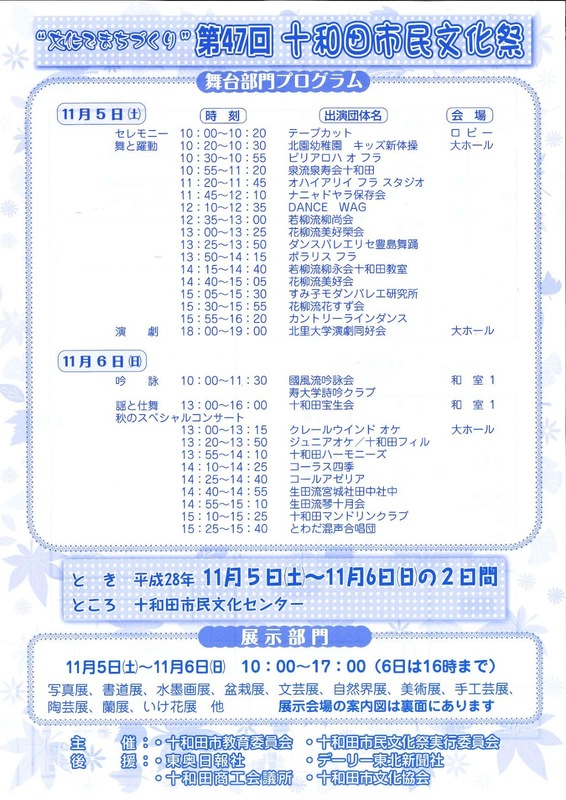 A festival celebrating the fresh seafood of Natsudomari with fresh seafood sales, various performances and activities!